If you have an iOS device in India you can use IRCTC mobile apps from IRCTC (leading Online service to book rail/train tickets in India). Here is how you can download IRCTC mobile app to your iPhone & iPad and book train tickets from your tablet or smartphone. a. Book and Cancel Railway Tickets on mobile. There are three ways in which you can book tickets and avail other services from IRCTC mobile application on your iPhone and iPad. 1. Download the IRCTC mobile app for your iPhone or iPad. IRCTC mobile app is delivered through ngpay - India’s popular mobile app for Ticketing, Shopping and Recharges. You can download IRCTC mobile app on ngpay from Apple iTunes store. After downloading ngpay just go to the “Travel & Stay” section and choose Railway Tickets to book rail tickets through IRCTC. 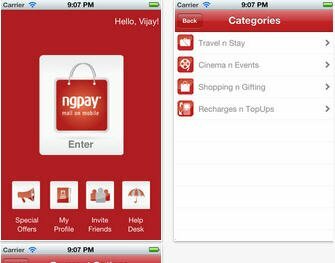 You will need to create a new user login to register on ngpay and avail the service on iPhone or iPad. You can book both normal and tatkal tickets through ngpay. All IRCTC payment options are available for payment and financial transactions. 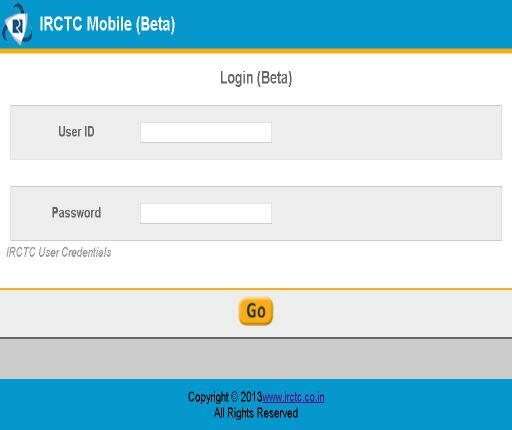 You can visit IRCTC mobile website (https://www.irctc.co.in/mobile) using your existing IRCTC user ID and password for availing mobile ticketing services on your iPhone and iPad. Interface is clutter-free and easy to use. Though the functionality is somewhat limited compared to ngpay but it is still worth trying. Carry out your transactions in a usual manner as if on a desktop by visiting full IRCTC website (desktop version) . This is useful if you can not install or use ngpay for some reason and also if you find yourself more at home visiting the full desktop version of IRCTC website.